In the last couple of years, the amount of video content that is being uploaded to various social media networks has skyrocketed. YouTube is currently the largest video sharing platform on the Internet that hosts unimaginable amounts of videos. In 2017 alone, more than 4 million hours of content has been uploaded to YouTube each day, and these numbers are expected to continue to rise. Editing the videos you shared on YouTube is important because the raw footage needs to be organized and cleared of mistakes if you want your videos to attract the attention of millions of viewers. Besides, 360 degree video will help you get more likes and engagement. That's the reason why we've selected the 11 best video editing software for YouTube that you can use on Windows and Mac OS, that can help you produce visual content that meets professional standards. Among these best YouTube video creators, some of them are the best choice for YouTube beginners to edit videos, some of them are for Pros. We list Wondershare Filmora9 as one of the best video editor for making YouTube videos for beginners and semi-pros. Filmora9 is much powerful than Windows Movie Maker on Windows and iMovie on Mac machine, while it also allows you to make a professional looking YouTube video with hundreds of presets such as filters, overlays, elements, transitions, and mixing multiple layer of effects and audio to empower your YouTube story. Hence, it is recommended at the first place as the best YouTube video creator on PC and Mac. Watch the video below to know more features of Filmora9. 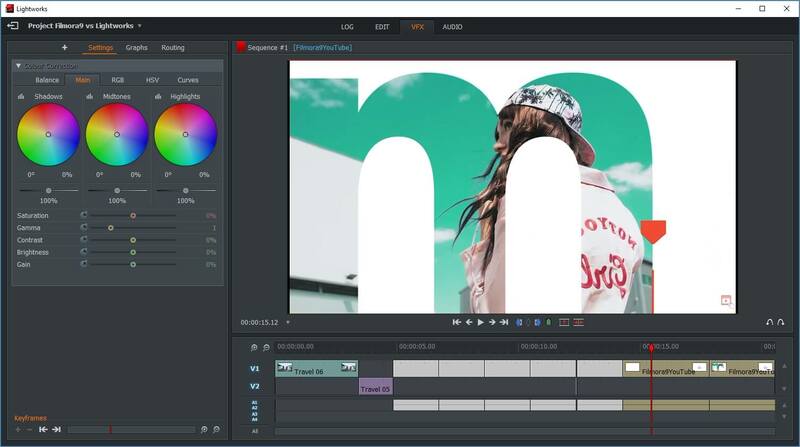 Becoming a skilled video editor takes years of practice, but with Wondershare Filmora9 video editor you can produce YouTube videos that have a professional look and feel, even if you are new to the world of video editing. This YouTube Video Creator has big icons and intuitive interface, so those YouTubers who edit videos for the first time can quickly make a video. As one of the best video editing software for beginners, Filmora9 YouTube Video Creator contains all the tools you'll ever need to create a well-rounded video with the video & audio editing features, stunning effects, and efficient color grading. Besides the fact that you can easily add as many video, photo and audio files to your projects, Filmora9 also enables you to perform all basic video editing actions such as trimming or cutting video clips. The software's rich effects library enables you to enhance the colors in your videos, add text or image overlays. Wondershare Filmora9 also offers royalty free audio library which includes music track and sound effects you can use to create a perfect soundtrack for your videos that can be exported to YouTube directly from the editor (for personal use). You can add text with animations and save it as preset to use in the future. 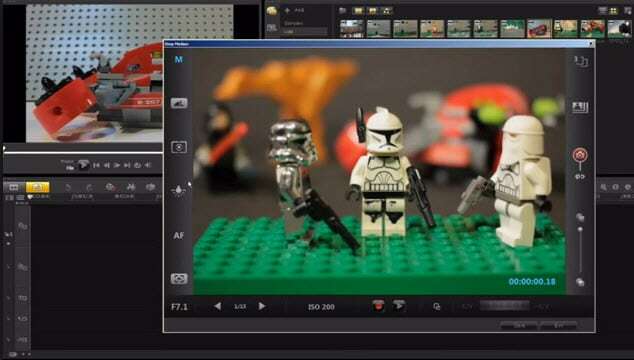 You can also make some creative videos with the split-screen video or chroma keying feature. You can share the video made with Filmora9 to YouTube directly. We have also made a video to introduce some of the best video editing software for YouTube videos, no matter you are using Windows or Mac, you will find the free and paid software based on your needs. Virtual Dub Free Windows, Mac, Linux Process large number of files at one time Can't write MPEG-1 files. Over the course of the last decade, PCs have become powerful enough to enable their users to edit video material captured with all types of cameras. These are the five best free and paid options for PC owners who want to edit their videos on a PC before they upload them to YouTube. Besides Filmora9, you can also try these two easy to use YouTube video editors on Windows if you are new to video editing. 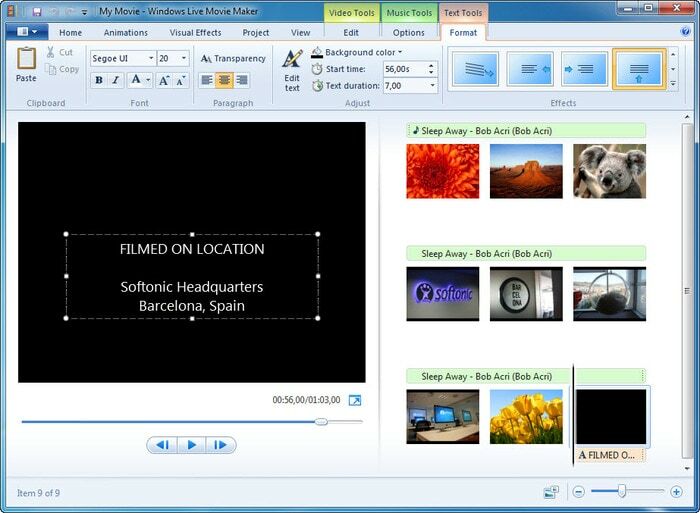 Windows Movie Maker was never a powerful video editing software, but it always provided a quick and simple way to edit videos for Windows 7 users. However, on January 10. 2017, the iconic video editing software that was bundled with all versions of Windows in the last couple of decades has been discontinued. If you are using Windows 7 operating system, you are luck to use Windows Movie Maker: adding titles, trimming or cutting videos in this software doesn't require you to be a professional video editor, and to make things even better Windows Movie Maker offers support for a lot of different video and audio file formats. However, the software doesn't provide any filters or visual effects which significantly limits your possibilities. Windows Movie Maker is one of the best video editing software for beginners which is totally free, but it is designed for quick edits that don't require a lot of video editing skills, so semi-professional and professional YouTube video producers will be better off using some more powerful video editing suite for their projects. The first version of this open-source software was released in 2000, and on October 27, 2013, VirtualDub was discontinued. The software was quite popular in the early 2000's but its fame quickly faded, due to its limited video editing capacity. 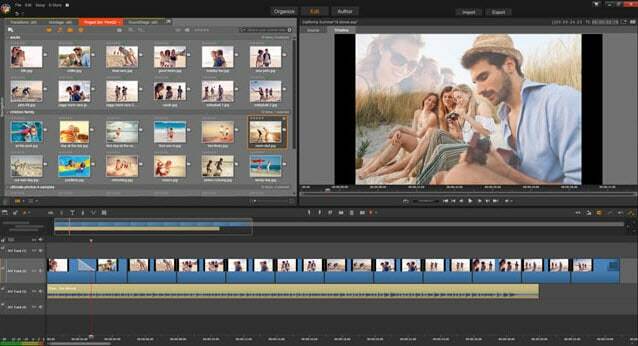 This free YouTube video editor is aimed for video editing beginners. VirtualDub's users can capture footage, edit, or assemble videos from TGA and BMP files. Cutting, resizing or trimming video clips is possible, but the software only offers support for AVI file format, so you may experience difficulties if your camera captured footage in some other format. As the comments mentioned below, Davinci Resolve and HitFilm Express are two free video editing software for Windows and Mac, but they are likely for professional film makers. The wide range of input file formats this video editing software provides guarantees that you'll never have to worry about the camera you're using to capture your YouTube videos. The Pinnacle Studio bring advanced video editing tools to inexperienced users and it simplifies the video editing process. The software is equipped with all of the basic video editing features, while the paint effects or 360-degree video editing support enable you to add a special flavor to each project you are working on. YouTubers will find the mosaic blur with motion tracking feature useful, because it allows them to conceal private information in a video, but this feature is only available on the Ultimate version of the software. If you choose to purchase Plus or the Ultimate Pinnacle Studio versions you'll be able to edit 3D and 4K videos. This award-winning software features multi-track video editing option, as well as a number of professional video editing features. The Lens Correction tools, 3D video editing, or Stop Motion Animation features are just a few out of many reasons why Corel VideoStudio is one of the best video editing software products for PC owners. You can crop or resize videos, while the split screen feature is also available if you want to have more than just one video source in your video. To make things even better VideoStudio is equipped with video hardware acceleration technologies that shorten the amount of time required to render a video. The software's users can export their projects to YouTube, Flickr or Vimeo, so they can save time on the exporting and uploading videos manually to these video sharing platforms. 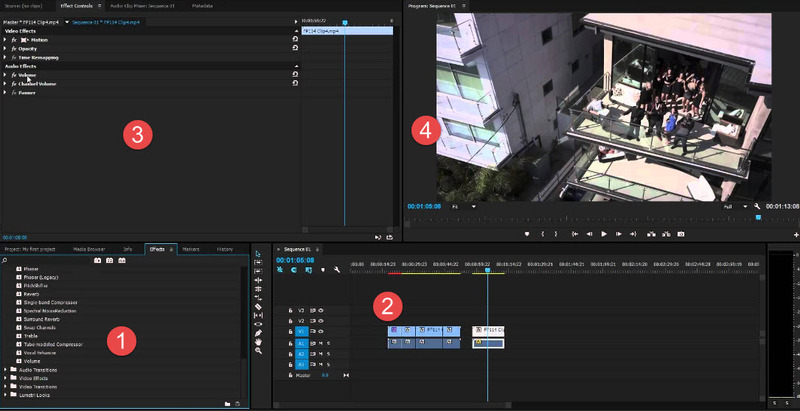 You can edit YouTube videos by using 4 angle multi-camera video editors. For Windows users who are looking for a professional and advanced video editing software, Sony Vegas Pro maybe one of the solution that you should consider. The interface in Vegas Pro is not so intuitive and not very modern-looking, so you have to spend some time to figure out all the features and how to use them. For beginners who are new to video editing, there may be a steep learning curve. Vegas Pro has a tons of advanced features like 3D editing, compositing, color correction, automatic corssfades, multicam-editing, chroma keying and various special effects. Some of the greatest movies in history were edited on Mac computers, but if you are not a professional video editor that doesn't mean you can't use your Mac to create impeccable YouTube videos your followers are going to adore. If you are a video editing newbie and do not want to download any third party editor for your YouTube videos, you can try iMovie, which is one of the best option for YouTube Video Creator beginners for Mac users. iMovie was released in 1999, and since 2003 it has been included in all new versions of Mac OS. The software offers basic video editing features, that enable its users to crop, trim and arrange their video clips in any way they want. 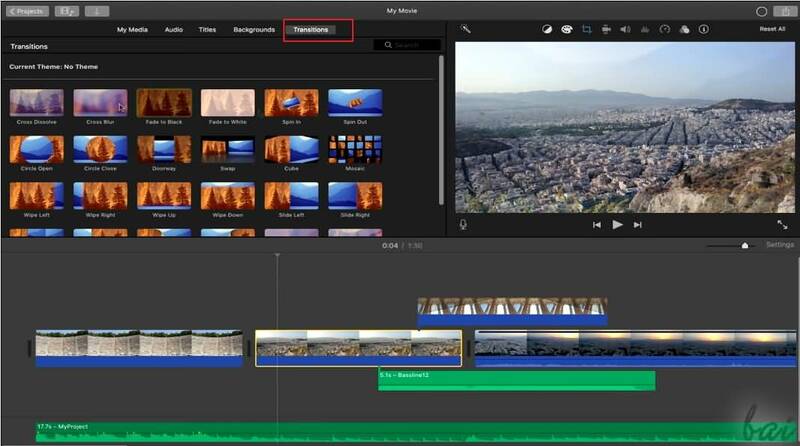 Adding titles, applying visual effects or editing audio files is also on the list of features iMovie provides. The latest versions of the software offer support for HD and 4K videos, which means that you can edit footage captured with iPhones, GoPros, and all other modern digital video cameras. The software's video-sharing capabilities are impressive since it enables its users to share 4K videos to YouTube, Facebook or Vimeo with just a few clicks. Even though iMovie offers a lot of powerful video editing tools, professional video editors may find the software's features underwhelming. 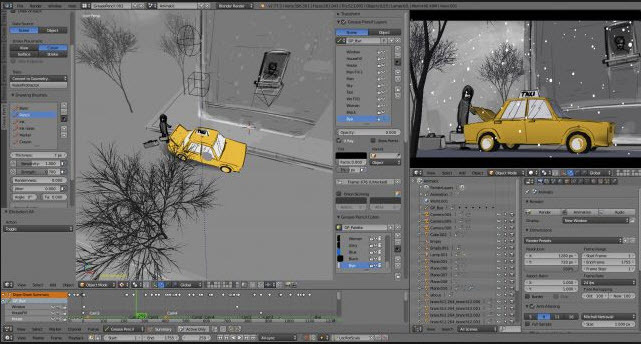 Blender is much more than a simple video editing software since it can also be used for modeling, animation, rendering, VFX or game creation. The amount of video editing features Blender offers is limited, but you can still trim videos, insert transitions or apply filters. The software's timeline allows you to add as many video, audio and image files to your projects as you want, and it grants you access to chroma vectorscope, live preview, and histogram displays. Audio mixing and waveform visualization options provide a considerable amount of creative freedom to the software's users, while speed control and layer adjustment features broaden the scope of video editing actions you can perform with Blender. Despite the amazing animation, modeling and video editing features, this software fails to live up to the standards set by professional video editing software products for Mac. This video editing software is famous for its high-end video editing capabilities on Mac and it is frequently used by the industry's leading professionals on demanding projects. 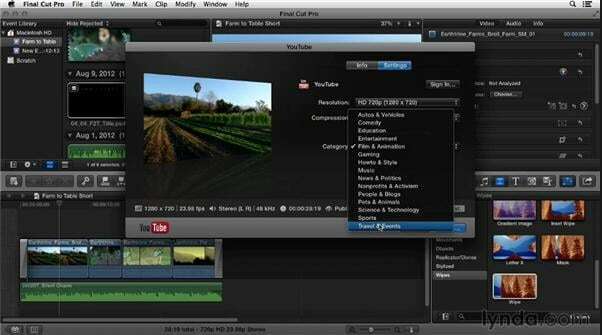 Final Cut Pro is designed for non-linear and non-destructive video editing and it offers tools that make working with large amounts of video, audio and image files easier. The recent versions of the software offer support for 4K and 5K videos, while the 360-degree video editing is also an option that is available to the video editor's users. A brief look at the list of feature Final Cut Pro offers will leave you wondering if there is anything this software cannot do. That's the reason why YouTube video producers can only benefit from editing their videos in Final Cut Pro, one of the best video editing software for Mac ever created. It supports only Mac operating system. Gone Girl or Deadpool are just a few cult movies edited with Adobe Premiere Pro, The software is reliable and offers features that surpass the demands even the most advanced YouTube video producers have. However, this doesn't mean you can't use the Adobe's video editing software to perform quick and simple edits on your footage. Importing and organizing video files is easy in Adobe Premiere Pro while applying transitions or removing the unwanted parts of a video clip is a simple operation which even the novice video editors can perform. The software offers support for nearly all video file formats, including the 8K footage produced by professional video cameras. 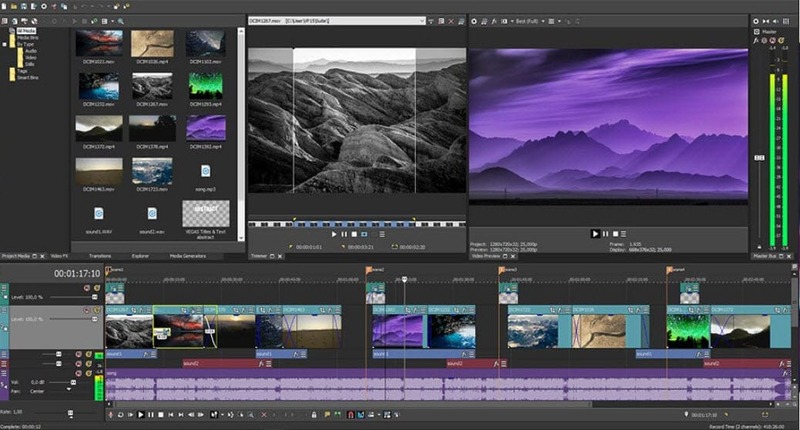 Adobe Premiere Pro CC also enables you to edit VR or 360-degree videos, while adding motion graphics or customizable transitions is also on the list of features the software provides. The features Lightworks offers may seem intimidating to inexperienced video editors, but this software is also a perfect learning tool. The user-friendly interface is equipped with a rich selection of visual effects, transitions and superb trimming options which guarantee that each YouTube video you edit in Lightworks is going to be a small masterpiece. The software supports all popular video file formats, including 4K videos, and you can export your videos to YouTube easily. What's more, Lightworks is optimized to save time on exporting files, so you won't have to spend a lot of time waiting for your videos to be uploaded to your YouTube channel. Professionals will enjoy the Multicam editing feature that enables you to work with the footage captured by two or more video cameras. Above are our picks for the best video editing software for YouTube videos on the market, from some free video editing software for Windows and Mac, to the paid solution to edit your YouTube videos. Some of the video editing software are best suitable for video editing beginners such as iMovie and Windows Movie Maker, some are creative professional software like Adobe Premiere. If your favorite YouTube video creating and editing software is not listed above, share your recommendations in the comment below with us. Check the video below to know how to empower your imagination with Filmora9 YouTube Video Creator easily. Download it and have a try now! Quick question, would you reccommend using Adobe Premeire Pro (2018 UPDATE) for YouTube videos? I have a Windows10 computer and I watched a YouTube video on the best video editing softwares for computers for YouTube videos. Adobe PP came in number 2 for the best paid video editing software.